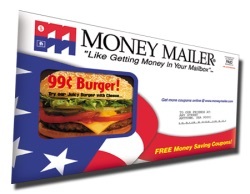 Unique opportunity to own a very desirable territory with the Money Mailer franchise. This is a unique opportunity to own a very desirable and protected territory in a prime and affluent area with the brand leader in direct mail. This established business is for sale at a discounted price. This is a home-based business, with no occupancy and overhead costs where the owner can work at home and set own hours. For personal reasons the current owner has been unable to put in the required effort to grow this business to its full potential. This business currently has sales in excess of $200,000 and has a tremendous opportunity for growth much more with a new energetic and motivated owner. Average franchisees within this brand earn over $120,000 per year! Seller will provide training and support during the transition period. 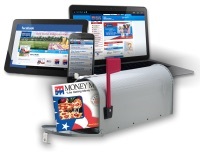 Money Mailer have re-invented marketing for local businesses with a turnkey marketing system that does everything for the local merchant on a multi-media platform: Direct Mail, Internet, and Social Media. This is the only national franchise laser-focused on local, neighborhood businesses. Local is the Holy Grail of marketing and our “hyper-local” marketing solutions help businesses reach their best prospects at home in the mail, on mobile devices, social media and the Internet all for literally pennies-per-household. As a franchisee you will receive a week’s training at MM University. Then spend 4 weeks at our company operation in a “real world” sales territory applying technology-driven systems for success. You emerge “battle tested” and ready to spend 2 weeks working hand-in-glove with your personal Coach in your territory – nothing is left to chance! This is an owner/operator model. Low cost franchise opportunity, no storefront or inventory required. Work with clients in your community and call on decision makers, not committees. You establish your own local market pricing and never have to “check with the boss” to close a deal. Your coaching and support is always there when you need it. In addition to your personal Coach you’ve got a dedicated, internal customer care expert to make sure every mailing cycle runs smoothly. Your dedicated Art Center coordinator works with a team of graphic designers to create compelling ads and offers that create repeat business. First, sales experience is not required. This is a consultative, relationship-driven business, not a one-call close transaction. Success comes from providing client value that generates monthly repeat business. You need to be high-energy, customer-focused with a passion to help businesses succeed. You must be full-time, day one – this is not something you can do “in addition to” something else. Sales potential is obviously required and success requires talking to lots of business owners and ultimately closing deals. To find out more about this exciting Money Mailer franchise for sale, please fill in our request information form.